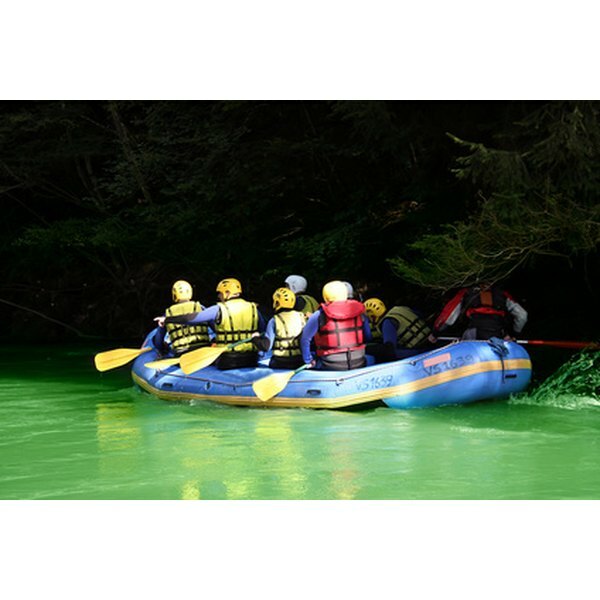 Christian team building activities can be as adventurous as whitewater rafting. Christian groups often struggle with unity. This poses a problem, because one of the main tenants of their belief is they are to be like a family, representing together the love of Christ. Team-building exercises and ice breakers help encourage unity, cooperation and understanding. Laughter and shared experiences also break down emotional, cultural and spiritual walls that may be erected between team members. In this exercise, group members are told they are part of a space crew who have landed 200 miles from the mother ship in a crash landing. Only 15 items in the ship function after the crash. Give each individual a sheet with the 15 items listed, and give them 10 minutes to rank each item's importance in the 200-mile walk to the mother ship. Then combine into groups of 4 to 5, and have them compare their answers and then work together to form a new list. Compare their answers with the answers of NASA scientists and engineers. In almost all cases, the groups do better than individuals with the answers. In this icebreaker, groups are divided into 6 to 7 people per group. The moderator walks around the room and announces different questions. When the group has the item or answer, a designated member stands up. Some possible questions include longest piece of hair, person who was born furthest away, and most keys on a chain, and books of the Bible which start with M. Give points or candy for the first group to answer, or the group which has the most items. This icebreaker works well for bringing international students together. Everyone gets a sheet with 25 blocks on it, like bingo. A description of someone shows on each block. Examples may include someone wearing blue socks or someone who has been to Beijing. Participants walk around the room and get signatures for each block. In doing so, they get to know each other in a fun way. The person who gets the most signatures (or the first person to get them all) wins. Break the group into two to three teams, with 8 to 14 people on a team. Have them face each other in a tight circle. Each person shakes hands with another person and holds on. Then, with their left hand, they join hands with a different person. While keeping their hands together at all times, they try to undo their human knot. This exercise requires communication and teamwork in a fun fashion. A moderator walks around the room and tapes a name of a famous person or character, living or dead, on the back of each team member. (The name could be from the Bible.) Everyone then walks around the room and can ask only one question per person about who they are. They must first ask one question to get to know the actual person. The person can only answer the question about the name on the back of the person with a yes or no. The person who first figures out who she is wins. This game helps new team members get to know each other better in a non-threatening way.